Since Steve Jobs’ untimely death earlier this month, news outlets have been filled with tributes to one of the world’s great innovators and influencers. 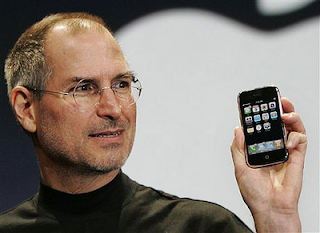 His products have changed the way we work, the way we play and, ultimately, the way we live. Like millions of other viewers, I was charmed (and, yes, just a bit alarmed) by a video gone viral of a toddler who tries to manipulate a magazine in the same way she does an iPad, brushing her fingers across the pages and growing agitated when the magazine doesn’t respond to her touch. The video speaks volumes of how fundamentally technology, and specifically Apple, has altered our lives. Jobs’ contributions to the hotel industry cannot be underestimated, either. Products from the iPad to the iPhone are influencing the way guests book our hotels, the way they access our services and the way hoteliers, in turn, serve our guests. A growing number of hotels have begun to keep a stock of iPads on hand as loaners to guests, loaded with information on their destination. iPod docking stations have become a ubiquitous guestroom amenity, allowing guests to travel with their playlists. And specific to Trump Hotel Collection, iPods are an integral part of the spa experience: At all Spa at Trump locations, our spa attachés will preload iPods with music fitting guests’ selected Trump Personal Intention, providing a customized accompaniment to their treatments. Jobs left the game far too soon, and it remains to be seen if Apple will be able to continue to innovate at the pace set by its visionary founder. It’s safe to say, though, that his legacy will be felt for years to come.